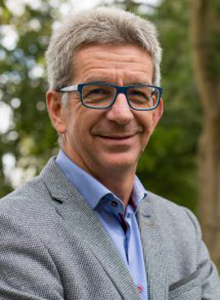 Tjeerd Zandberg is a researcher at the European Tourism Futures Institute where he is mainly involved in complex assignments involving large or special data sets, and economic impact analyses. Apart from the technical aspects involved, he finds it interesting to approach these complex issues from a critical perspective. Much of his research focuses on the interaction between tourism and hospitality. He is also course leader of the master of International Hospitality and Service Management program offered by Stenden University in cooperation with the University of Derby. In this master he teaches Strategic Management. Tjeerd is finishing his doctoral thesis on innovation using social network studies. In this study he analyses what drives some managers to deviate from existing practices and become innovators, while other managers stick to old practices and are much less innovative.